Location: Cole Art Studio, located downstairs on the lower level of Cole Gallery. 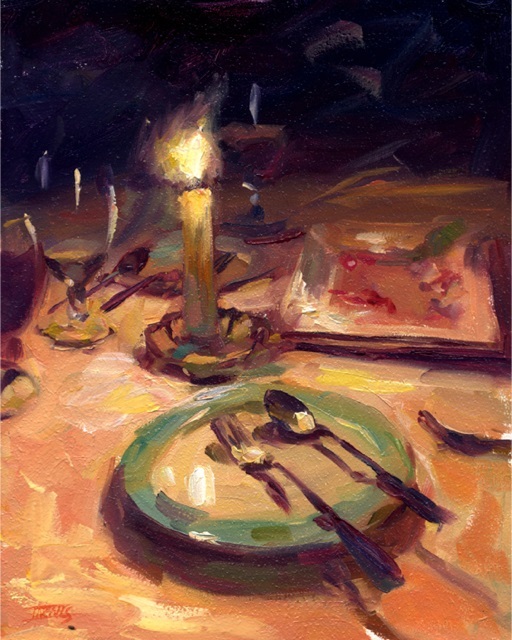 NOTE - The painting demo on Thursday evening March 28 is an integral part of the workshop, and is included in the price. Please plan to attend the demo if you sign up for the workshop. Learn to oil paint from life in the Russian Impressionist's tradition in rich and vibrant, warm and living color! 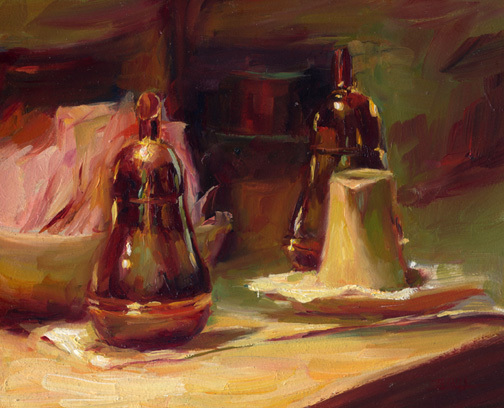 This workshop is set up to take each student at their own level through the basics of oil painting - exploring value, color temperature, intensity and edges with still lifes and portraiture. 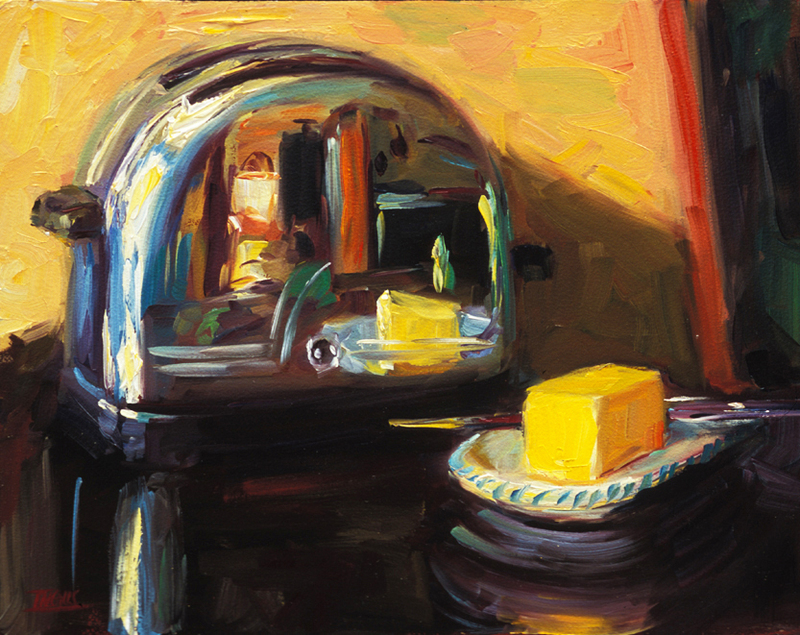 With acclaimed artist and instructor Pam Ingalls, you will examine the light on simple subject matter, and discuss the importance of allowing one’s choice of subject matter to come from within. Class will start with a portrait demo on Thursday evening. Please arrange your schedules so that you can arrive early enough on Thursday to watch the entire painting demonstration, with plenty of time for questions afterwards. This is an integral part of your workshop. The demo will begin promptly at 6:00 p.m. on Thursday. All levels are very welcome! You can purchase your quality art supplies at ARTspot! Registered students receive a 10% discount on all their art supplies from the time of paid registration until the last day of class. ARTspot carries all items on this list. ARTspot staff are there to advise you about appropriate art materials to fulfill requirements for this or any other classes you may be taking! Odorless mineral spirits such as Gamsol, or any alkyd medium such as Gamblin's Neo Megilp is fine too. Note: no smelly mediums, turpentine or regular mineral spirits will be allowed. Pam likes to paint with flat, soft natural hair brushes or synthetic sable substitutes; if you have rounds or filberts already, that will work just fine. It could be just a piece of glass about 16" x 20", with white paper taped to the back, a white plastic palette, or a wooden palette. Bring a lunch for your 45-minute break, if you think you’ll be too rushed to go out. ARTspot is located half a block west of Cole Gallery/Cole Art Studio at 408 Main Street. Call 425-640-6408 or email at ARTspotEdmonds@gmail.com.